Renault India’s first product on the Common Module Family (CMF) architecture will be the A-Entry/XBA entry-level budget hatchback. Underpinned on the CMF-A (meant for budget hatchbacks) architecture, the Renault A-Entry/XBA will feature an 800 cc, triple cylinder petrol engine developed by Renault-Nissan technical center at Chennai. A diesel engine isn’t on the scheme of things as the segment that the A-Entry will operate in, is petrol-only territory. The car will share its platform with the upcoming Datsun RediGo hatchback. The two hatchbacks will also share many parts. 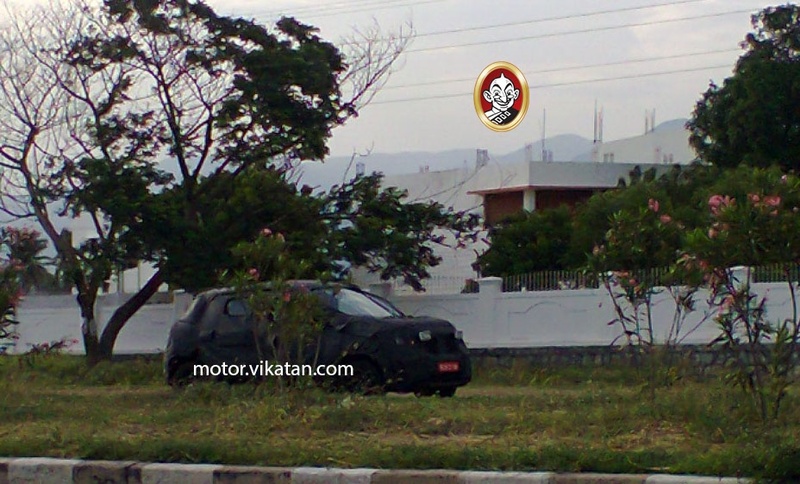 The car has already begun testing on Indian roads. The A-Entry will be the least priced Renault car in India, and will sit below the Pulse hatchback in terms of positioning. The A-Entry, along with the Lodgy MPV, will form Renault’s twin pronged volumes attack, designed to boost market share and take the pressure off the best selling Duster, which is the only real success that Renault has seen in India. At a sub-4 lakh rupee price tag, the A-Entry could well turn out to be the next big blockbuster for the French automaker’s Indian operation. 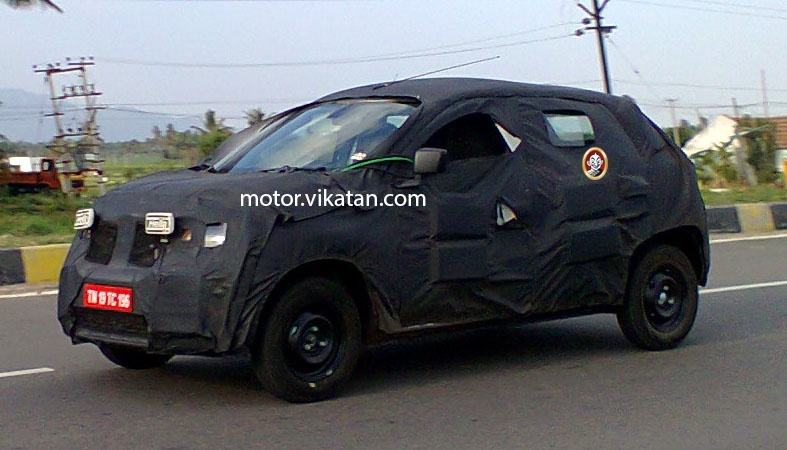 The A-Entry will follow the Lodgy MPV into India next year. Renault India has developed the A-Entry/XBA as a global car. Large scale exports of the A-Entry are a distinct possibility. 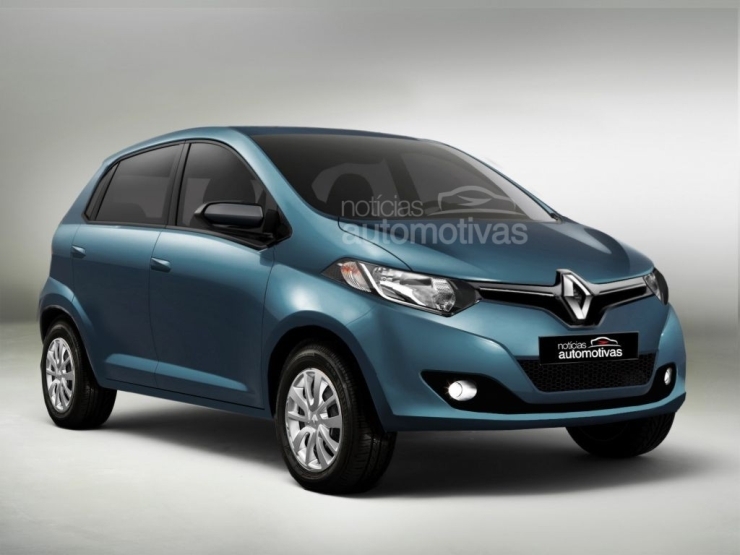 Emerging markets around the world are likely to be the targeted markets for the new, budget hatchback from Renault. As of now, Renault has stopped exporting the Duster to UK. This means that the French automaker is currently operating as a domestic player in India. Exporting the A-Entry to countries around the world will allow Renault to restart its export ambitions and also allow it to turn out chunky profits. The Renault-Nissan joint manufacturing facility at Oragadam, off Chennai has plenty of capacity to cater to both the domestic and export fronts.